Sample 1. 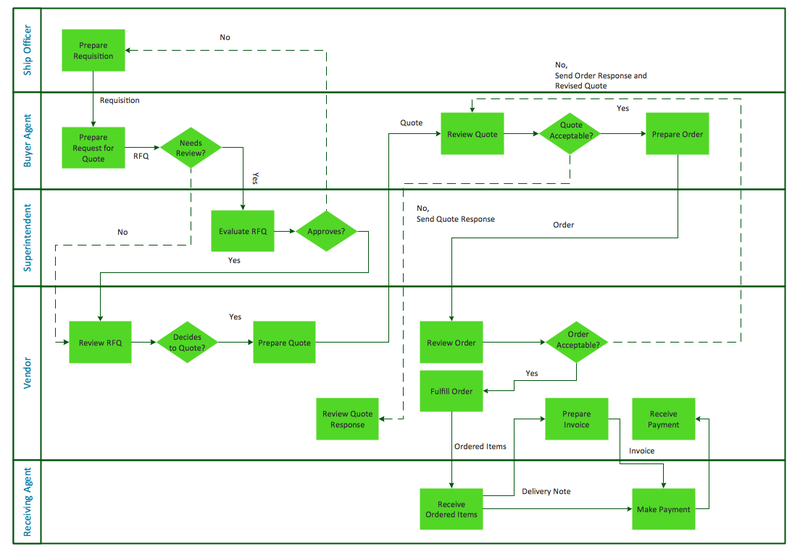 Horizontal cross-functional flowchart sample - Trading process diagram. Swim Lane Process Diagram sample: Trading process.